Australia’s premier flooring retail network with the widest selection of flooring brands Australia wide. choicesflooring.com.au helps you find residential carpet flooring, commercial flooring and hard flooring solutions. It provides you with information on leading flooring brands for carpet, timber, laminate, bamboo, luxury vinyl, tiles, rugs and commercial flooring. Search hundreds of brands, styles, colours and textures in many price categories from cheap flooring to luxury flooring brands. 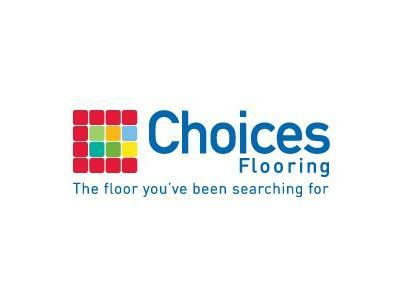 Find a local Choices Flooring retail store in more than 140 locations throughout Australia. Choices Flooring is part of Australia’s ‘Top 500 Private Companies’ as reported by IBIS (2014). 2014 Winner of ICSP – People’s Choice Award for Flooring. Over 50 Choices Flooring stores stock a wide range of commercial flooring products including carpet broadloom, carpet tiles, sheet vinyl and specialty commercial flooring. Choose from hundreds of commercial flooring brands, fabrics and colours specifically chosen for both commercial flooring contractors for retail stores, hospitality venues, healthcare facilities, corporate offices and schools and education campuses. Call into one of our stores today and speak to a friendly team member about your commercial flooring and home builder requirements.